Andrew (Andy) William Shafer, born November 10, 1924 – died April 6, 2019. Andy was born in Underwood, ND the eldest boy to William Elmer Shafer and Floy Clara (Dove) Shafer. The family later moved to Wyoming where he attended school in Slater, Cheyenne and finally making their home in Wheatland. Andy never had an easy childhood, growing up in the Depression Era. He never complained or even shared anything about his younger life until he was much, much older. It was then after much prodding that his family learned the reason why the Salvation Army was his favorite charity; there was a period of time in his life when they were homeless and the Salvation Army got them into a shelter and made sure he at least had a Christmas present. Never in his life did he look down upon or up to others for what they had or didn’t have. He practiced the Christian way of life, treating everyone the same. He was a simple man with a smile upon his face, a kind word, and a very strong work ethic. Andy was a very grateful man, he appreciated everything he had, especially his family and his many friends. Andy was educated to the 10th grade in Wheatland, but because of the needs of his family he was forced to drop out to get a job to help put food on the table for his parents and his 2 brothers. He later enlisted in the US Navy, serving from Feb. 1, 1944 to April 1946. He served on an attack transport ship in the western Pacific on the USS Bandera as a Radioman, sending and receiving signals. Before he left for war, he met the one true love of his life, Angela Brown. They communicated by written letter for the 2 years he was gone. When he returned, he took a job at a filling station and bulk plant in Chugwater, WY, not far from where Angela’s family worked at their restaurant. On Easter Sunday, April 6, 1947 he married Angela. He took a job working for the Jordan Ranch Company in the fall of 1948. On December 1, 1950 he was called back into service during the Korean War. He was stationed in Barber’s Point, Oahu, Hawaii until his discharge on March 10, 1952. He and Angela returned to Wyoming and continued working on the Jordan Ranch. Mr. Jordan appreciated Andy’s work ethic and abilities so much he asked him to be the ranch foreman of 2 ranches in MT in 1958. Andy, Angela and their daughter Patti Jo moved to Montana, living 60 miles south of Miles City. He continued working for the Jordan Ranch Company until 1966 when Jordan’s sold their Montana ranches to Doc Balsam. He stayed on until 1969, but it was getting harder and harder being away from the family. Angela and their 2 daughters had moved into Miles City so that Patti Jo could begin high school, only returning to the ranch on the weekends. He left the ranch and began working at Fort Keogh Experiment Station. He loved the job, still being able to work around cows and horses and being outside. He always said that is why he thinks he lived so long because he spent his time outside in the fresh air every day. He retired from Fort Keogh in 1993. He never really “retired”, he was always fixing something for someone, mowing yards, helping neighbors, whatever needed to be done he was there. He and Angela bought the house next door to them and remodeled it. Taking breaks to go travel some too. Angela died January 23, 2005. They were just about to celebrate their 58th wedding anniversary. He was very lonely and didn’t understand why he had to live so long. He tried to keep busy, especially with his bowling. He finally succumbed to loneliness and married Bernice Rooney December 1, 2012. They had a brief marriage, with her death in March 2018. His health began failing more and more so he made the decision to move to Dickinson, ND to live with his daughter, Robin. He and Robin had been discussing him moving closer to family for many years, but he never wanted to leave Miles City. Miles City was his home he said. Although he physically moved to Dickinson, his heart belonged in Miles City. 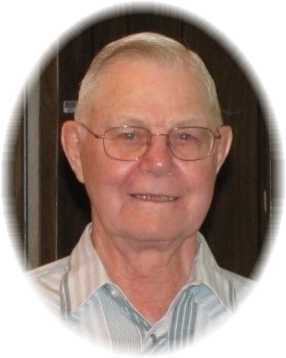 He is survived by his 2 daughters, Patti Jo Hagen and her husband Dan of Henning, MN and Robin Jung-Schatz and her husband Wayne of Dickinson, ND; seven grandchildren: Kristie (Kirk) Nosbish of St. Cloud, MN; Andy Hagen of Henning, MN and Elizabeth Hagen of Henning, MN; Jason Jung of New Hradec, ND, Danielle (Alex) Sakyiamah of Dickinson, ND, Andrea (Ryan) Diede of Dickinson, ND and Whitney (Blake) Powell of Wichita, Kansas: 14 Great Grandchildren: Aidan and Soren Fuchs of St. Cloud, MN, Chloe, Conner, Randy, Faith and Sam Hagen of Henning, MN; Jackson, Abigail, Carter and Avery Diede of Dickinson, ND, Gage Jung of Dickinson, ND and Landon and Maxxon Powell of Wichita, Kansas and 6 nieces and nephews. He was preceded in death by his parents, his 2 brothers Max and Ralph and 3 half-brothers and 1 half-sister and son-in-law Darwin Jung. He was a member of the American Legion, and The United Methodist Church of Miles City, MT. He enjoyed bowling and loved his work; always stating “it is a privilege to have a job”. He greeted each working day telling us, “he GETS to go to work today.” Andy will be missed by many. His love for Angela was so strong, he waited until what would have been their 72nd wedding anniversary to join her. Visitation will be held on Thursday, April 11, 2019 at Stevenson & Sons Funeral Home with family receiving friends from 4:00-6:00 p.m. Funeral services will be held on Friday, April 12, 2019 at 11:00 a.m. at Stevenson & Sons Funeral Home. Interment will follow in the Eastern Montana State Veteran’s Cemetery with full military honors. Condolences may be sent to the family by visiting: www.stevensonandsons.com. In lieu of flowers, please make donations to The Salvation Army or The United Methodist Church of Miles City. To each of Andy’s & Bernice’s family members: We are sincerely sorry for the loss of Andy – his kind smile will be missed! Rest peacefully, Andy! My prayers to all of Andy’s family. He was a gentleman and friend to many. I am deeply sorry to hear about the loss of your dear loved one. May Jehovah the “God of all comfort” be a source of strength and comfort to help you endure this difficult time. 2 Corinthians 1:3,4. Psalms 83:18. I am so sorry to hear of Andy’s passing. He was such a kind gentleman. A real tender soul. My prayers are with your family. I bowled with both Bernice and Andy for many years. Two of my favorite people. So nice. I am so sorry for the loss of your loved one. I only had the pleasure of meeting him once but he impressed me as being a very nice, kind man. I hope your wonderful memories will help to sustain you at this difficult time. Holding you all in prayer. To all the Shafer and Ronney families,Our hearts go out to all of you In the loss of your loved one.Andy was a very special man to many and to all of you.Our thoughts and prayers are that God will bless and comfort you all during these difficult times and the days ahead. Im so sorry for the loss of such a great man. I met him a few times when I was home to Miles City and he took such good care of and loved my Aunt Bernice. He was so good to her family and they loved him very much and will miss him. So sorry for your loss of Andy, enjoyed bowling with him and Bernice. He was such a gentle man and so giving ! Rest In Peace Andy! We’re so sorry to hear of your Dad’s passing..I have many fond memories of times growing up around your family. Hugs and blessings to all of you. To Andy’s family. We are so sorry to hear of Andy’s passing. We so enjoyed Andy. He was a very tender kind soul. I’m sorry for your lost..My husband and I send our prayers to the families..
We knew Andy through the Methodist Church and enjoyed working events with him and getting to know this very kind man. God Bless Andy! And talent. We had a lot of laughs and I enjoyed their company and “tips”. Sorry to hear about your dad. he was a great person. Mom and dad enjoyed talking with them all the time. I am glad that your mom and dad are back together, sorry for your lose though your Dad was a good man!!! My prayers and condolences to Andy’s family. He was a special man! RIP Andy! Our family will miss him terribly. His quiet way, his giggle from the bottom of his toes when something tickled him, his great advice & his stories when you could get him to tell them… He gave me tips on my cow herd & I’ll forever treasure the memories at branding!!!! RIP Andy…I’m a better person for knowing you….enjoy eternal life!!! Patti, Robin and family My prayers are with you As you know Andy and I spent at lot of time together at Fort Keogh. We grew to be good friends. I always sot his advice and his understanding of this young buck was a great help as I grew as his boss. His knowledge and ability was outstanding. I will miss him as I am sure you all will. After being privileged to live next door to Andy for so many years, we are really saddened by his passing & will miss him in our lives. He was so friendly, kind, & helpful to us over the years that he wasn’t just our neighbor, he was part of the family. We appreciated his wisdom when he would help us with projects and he & your mom were the perfect extra grandparents for our kids. Always watchful for their safety and amazingly patient. Even after Andy moved, when we saw him anywhere in town, he always had time to visit and catch up with what was happening with our family. He had the best smile and laugh and always a little boost of optimism to send with a person when parting ways. I always appreciated the twinkle in his eye, because he was such a happy go lucky guy. We have many wonderful memories that are treasures now, of all the years living next door to the Shafer’s. R.I.P. Andy. it was so much fun bowling with you and Bernice. You were such a nice guy. So glad I got to know you. Sorry to hear of Andy’s passing. Carried there mail for many years in Miles City. My condolences on Andy’s passing. He was genuinely a nice guy and I know he made Bernice happy. Thinking of you at this time of sorrow. It was with sadness that I leaned of the passing of Andy. He was a fabulous asset at Fort Keogh. He loved his job and his fellow employees. He was a true team player and a positive inspiration on all who knew him. I am grateful for all the good he did while in this world. He did not have mean bone in his body. I am also grateful that Andy was prepared to move on to his heavenly home. God bless him, his family and many friends. I share your grief of Andy’s departure and your joy in knowing he is where he wanted to go. What a beautiful life. To my cousins and others, I am so sorry for your loss. I am also thankful you got to love him for so long. What a blessing!